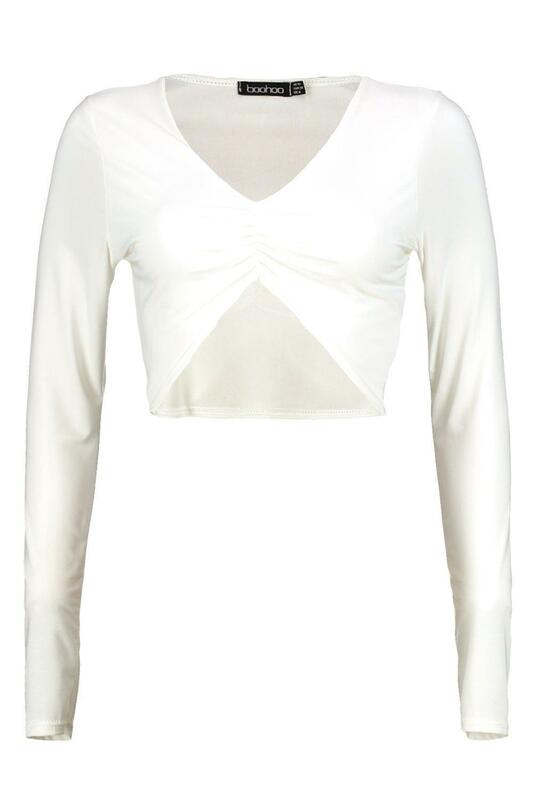 See more Boohoo Long-sleeved tops. 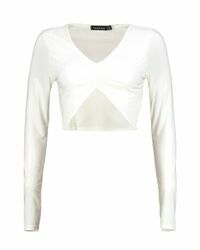 We check over 450 stores daily and we last saw this product for £4 at Boohoo. Steal the style top spot in a statement separate from the tops collection. Camis or crops, bandeaus or bralets, we've got all the trend-setting tops so you can stay statement in separates this season. Hit refresh on your jersey basics with pastel hues and pick a quirky kimono to give your ensemble that eastern-inspired edge. Off the shoulder styles are oh-so-sweet, with slogans making your tee a talking point. 95% polyester 5% elastane. Flat measurement of garment not worn. Total length 40cm/16". Measured on uk size 10. Machine washable.